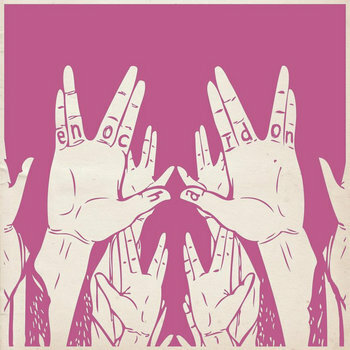 I don't hear about too many bands from Spain these days and Enoch Ardon has forced me to challenge myself and find some more. This is a totally impressive set of songs that reminds me of early 2000's bands like Textbook Traitors and Jerome's Dream. The music is totally chaotic and abrasive, however it uses a good deal of dynamics to create some great dramatic moments. Within the 60 second average run time you'll hear a good deal of screaching guitars, screamed vocals and energetic drumming. This is some great stuff and it will definitely show up in my regular rotation.